A major argument for God’s existence is that, if there is no God, there is no “true” good, because truth is that which corresponds to reality, to real being. A common counter-argument heard from atheists, agnostics, and skeptics is that this does not account for the definition of moral goodness. If God is the source of goodness, does he define what it means to be good via his commands (hence, it is fiction, not truth), or is it a standard he himself follows (hence, he is not the highest absolute)? In other words, theists cannot define goodness just by grounding it in God’s nature. True, but we don’t claim to. When we do attempt to define goodness (a separate issue from its grounding), the skeptic’s counter-argument becomes that our definition of goodness would be true whether or not God exists. For example, a successful argument in favor of the Golden Rule means that the Golden Rule is true on its own two feet and does not need to be grounded in God. However—if God does not exist, to what is the Golden Rule true? What being in reality does it describe? So we need both—we need moral truth to be grounded in real being, and we need to know what it means to be good. Those more experienced in philosophy might recognize this is Plato’s “justified true belief,” Hume’s “is ought distinction,” and the resolution to Euthyphro’s dilemma. Many apologists I come across claim that we don’t need to define goodness, but many skeptics view this as a cop-out. Therefore, this essay, rather than centered on grounding goodness, is centered on defining it (while also insisting it is not true unless grounded in real being). The Golden Rule will be stated out front, referred to throughout, and finally defended. We are going to survey how the major ethical theories measure up to eachother when they answer questions like “What should our character be?” “What should we do as far as our conduct or duty is concerned?” and, “What is the ultimate end or consequence?” –all as pertains to the Other/self. So many theories are some attempt at improving the Golden Rule, which might come up in many chapters of an introductory Ethics text, but ironically never gets its own. This time, we’re going to give it its own section at the end. But first, let’s see how all the other major theories work out. Plato’s virtue theory, with its producers, warriors, and rulers, is racist, classist, etcetera, thinking that certain types of humans are essentially different from others and therefore have different essential moral obligations and rights. Aristotle improved on Plato by proposing that what humans do best (men, in particular), is reason, or contemplation. Moral virtue involves reasoning out the Golden Mean on a consistent, character-building basis. For example, the Golden Mean between destructive criticism and deficient criticism is constructive criticism. One might get things right on accident using the Golden Mean, but there is the potential to get things wrong, because reason is emphasized over love. Making a rational character the highest virtue leaves the Other out of our moral considerations. Although we should behave rationally in our dealings with the Other, “reasoning well” (like being powerful) does not even require an Other (even one’s self) to be in existence. A mindless computer programmed to make decisions according to the Golden Mean would be considered virtuous. The ancient Chinese philosopher, Confucius, also came up with the mean, the middle state of moderation, but unlike Aristotle, Confucius expressed a version of the Golden Rule. “For Confucius the superior man is one who shuns pride and strives for humility; Aristotle would have considered such a man to have insufficient self-appreciation.” (507) But there is nothing in reality to which Aristotle’s virtue theory can always be true—there is nothing in reality it always describes. However, here’s something my introductory Ethics text failed to mention: Though you won’t find the Golden Rule in Aristotle, you can find the Golden Rule in ancient Greece. And perhaps when Socrates talks about “the god” (Apology, 3b, 14c)—that is the being to which the Golden Rule corresponds? In atheist existentialism the questions of Ethics are somewhat answered by emphasizing an authentic character, valuing that we take responsibility for our choices, and considering important the consequence of responsible freedom. The answer to the question isn’t as important as experiencing it as true or creating it by choice. Soren Kierkegaard, the Christian father of existentialism, is an essentialist, finding authenticity in freely choosing, despite adversity, the human responsibility to love (Golden Rule), whereas Jean-Paul Sartre, the father of atheist existentialism, is a voluntarist rejecting discovered purpose and finding authenticity in freely creating how we think humans should be. “In choosing myself, I choose man.” But this is just a restating of the Golden Rule…which we are free to choose responsibly. Important is the consequence of everyone’s moral sense being respected, but to determine whether or not our intentions are to do the right thing, we do not have to wait and see how the consequences pan out. We simply “determine whether we could imagine others doing to us what we intend to do to them. In other words, Kant proposes a variant of the Golden Rule. … (It) draws on the same fundamental realization that I called a spark of moral genius in the Golden Rule: It sees self and others as fundamentally similar.” (224-225) We share the same rationality and the same moral sense by virtue of being human beings, and so the rules are the same for all of us. A common, though not universal, interpretation of Kant is that he “had harsh words for the old Golden Rule. He thought it was just a simplistic version of his own categorical imperative and that it could even be turned into a travesty. If you don’t want to help others, just claim you don’t want or need help from them!” (224-225) However, instead of viewing the GR as “more simplistic,” one could view it as “more basic” or “more essential.” Kant’s criticism is answered this way: The Golden Rule (treat the Other how you would want to be treated; love the Other as self) includes the Platinum Rule (treat the Other how they would want to be treated), considering we would want the Other to put themselves in our shoes in their interactions with us. 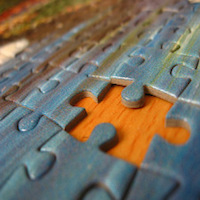 Ultimately, this stands or falls on what it means to be a self that wants what it ought to want. If not grounded on such a self, there is nothing in reality to which Kant’s categorical imperative can always be true—there is nothing in reality it always describes. Relativism answers the questions of Ethics by requiring that we respect and be tolerant of the norms of other cultures, whether or not they agree with ours, and by logical implication, that we conform to our own cultural norms. The basic impulse driving this view is the admirable, merciful feeling that, just as we would not want another culture’s values forced upon ours, we should not force our culture’s values on other cultures. This is golden irony, for this is the Golden Rule incorrectly applied, suggesting again that the Golden Rule is more basic than any of its rivals. There is much to be said for respecting and preserving cultural diversity. However, to claim such respect as essential, transcending culture, is to contradict the impulse behind cultural relativism. Further, the tolerance of relativism is ineffective in cultures without that impulse. And note that the absolutist view is not that we force our values on (or adopt the values of) cultures that do not share whatever values are in question, but that absolutes are discovered in and transcend every culture while maintaining the precious diversity that does not destroy common ground. Lastly, to not hold all cultures accountable to a transcultural standard (except that of tolerance, of course) is to insult the moral autonomy of each culture’s members—their status as free persons able to discern moral truth and make moral choices. It is to claim that Hitler, Martin Luther King, Jr., and Mother Theresa are morally equivalent. It is also to exclude different cultures from the benefits of following the transcultural standard—like universal human rights. In utilitarianism, the questions of Ethics are answered by bringing about the consequence of the greatest happiness in the greatest number of people. Conduct is determined by the greatest happiness principle, and a happy character is valued in ideas like ataraxia and eudemonia. Jeremy Bentham’s principle of utility, or the greatest-happiness principle, is as follows: “When choosing a course of action, always pick the one that will maximize happiness and minimize unhappiness for the greatest number of people.” What Bentham did not account for is that, if only a few suffer from the consequences of the act, then the overall pleasure (the end) justifies their suffering (the means). John Stuart Mill (Bentham’s godson) attempted to resolve this by suggesting utilitarianism is just a general policy for general situations, but others after him have come up with rule utilitarianism, which would be phrased, “Don’t do something if you can’t imagine it as a rule for everybody, because a rule not suited for everyone can have no good overall consequences.” (201) According to Rosenstand, this is another attempt to fortify the Golden Rule. This differs from Kant’s categorical imperative, because it is focused on overall consequences, whereas the cat imp is supposed to be followed even if we calculate that it will not result in the common good. Emphasizing the “end” allows for evil means and character—there must be a standard that judges the means, the character, and the end to be right. There must also be something in existence to which this standard is always true. In egoism, the questions of Ethics are answered by emphasizing good consequences for the person taking the action, considering selfishness a virtue, and finding it important to act in one’s own self-interest. Egoism is Utilitarianism zeroed in on the individual. Rather than focusing on group happiness, egoism focuses on self-happiness. Egoism, however, discourages fellow-feeling and a natural concern for the Other, both essential to a cultivated moral sense. Egoists would only follow the Golden Rule to avoid conflict with the Other (if they perceive such avoidance benefits self), rather than living out the empathy implicit in the timeless, self-, other-, and culture-spanning Golden Rule. And to what is Rand’s “Objectivism” objectively, always true? What self in reality does it always describe? 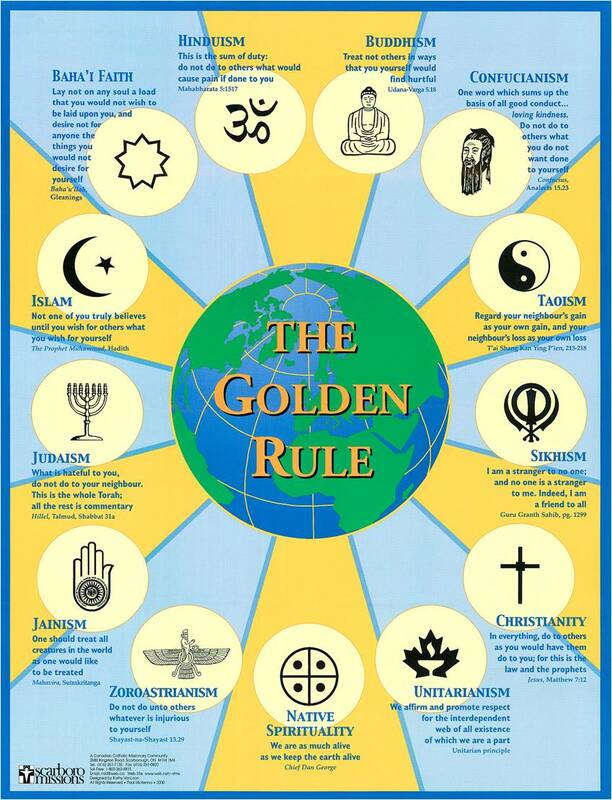 It has been shown how the Golden Rule is a more basic and essential aspect of each major theory in Ethics. Aristotle thought every man’s virtue is built in to reality, and Socrates perhaps grounded the Golden Rule in “the god.” Sartre restated the Golden Rule when he said, “In choosing myself, I choose man.” Kant grounded his categorical imperative in fairness to everyone’s shared moral sense. The impulse of relativism simply misapplies the Golden Rule. Bentham and Mill grounded their universalized happiness principle in our shared need for happiness. Ayn Rand thought the happiness of the self is just as important as everyone else’s happiness. They were all right – we are all free and responsible to choose the best purpose; we all need to be happy, to love and be loved, despite circumstances; we all share a moral sense; and the highest virtue is only always true if it always describes something essential to reality, not just in-the-moment behavior. “What should our character be?” We should be someone who always loves the Other as self. “What should we do as far as our conduct or duty is concerned?” We should always love the Other as self. “What is the ultimate end or consequence?” Always this: That the Other is loved as self. And to what being in reality does this truth correspond? Who does it describe? There is only one candidate. The Golden Rule describes that essential being (“character”), demonstrated ultimately on the cross (“conduct”) when Jesus took our moral failings on himself, and gave us his moral perfection, loving us despite circumstances—the ultimate point or consequence (“consequences”). That’s what goodness means. If that isn’t true, there is no good. Cross-posted at The Christian Apologetics Alliance. This entry was posted in Euthyphro Dilemma, Golden Rule, Is-Ought Fallacy, Justified True Belief. Bookmark the permalink.